It was such an honor to document Tara and Gino’s gorgeous first-day-of-fall wedding on a hilltop at Gino’s dad’s picturesque working farm in Richfield Springs, NY. The air was crisp and inviting and the leaves on the hillsides were starting to turn. 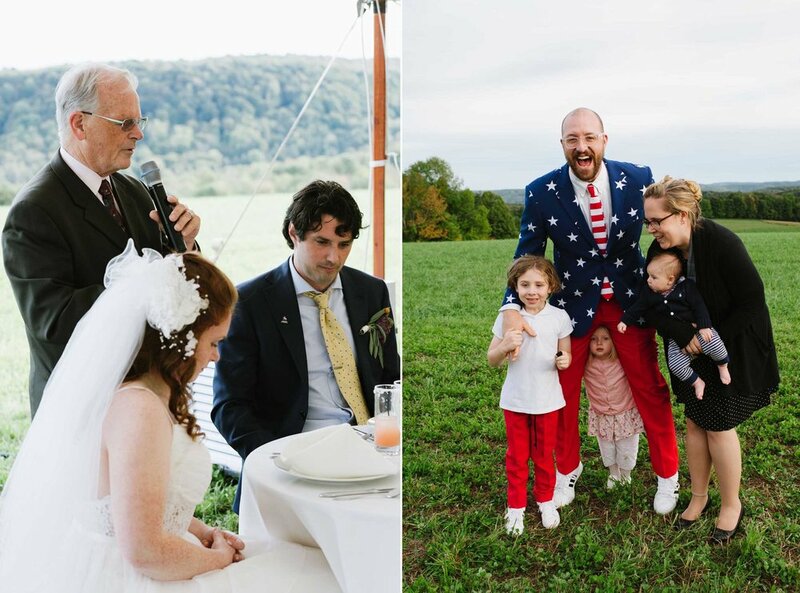 The bride and groom, who met working at the Cooperstown Dreams Park and who live in their own converted barn right next to the farm, were glowing as friends and family converged to celebrate this very special day in this magical place. Congratulations to the beautiful Tara and handsome Gino! Tents: Lydia at Morris Tent Rentals, Inc.